Swift911 is a system that makes phone calls to specific people or areas in the event of an emergency or for sharing important information. All the calls you receive will have the Caller ID of the Incorporated Village of Floral Park. 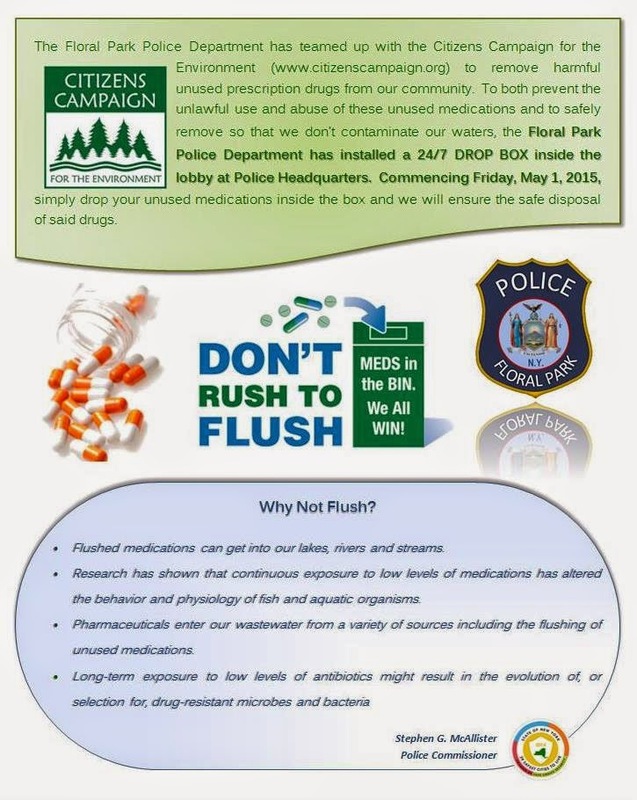 Site developed and maintained by the Floral Park Police Department. Mission Statement: To work in partnership with the people of the Village of Floral Park to prevent crime and preserve the peace and order of the Village while serving and protecting all persons, safeguarding their property and enhancing the quality of life, through professional, superior and compassionate policing. View selected videos containing useful information for teens, parents, etc. Keep updated with information about criminal activity in the area, special events, and goings-on at the Floral Park Police Department. Link your Facebook, Twitter, or e-mail accounts for instant notifications of new posts. The FPPD has installed a 24/7 DROP BOX at Police Headquarters. Simply drop your unused medications for disposal.